This handsome cat is Romeo. At 4 years old, he is still a young chap. Romeo is all gray, very friendly and in good health. This handsome cat is Romeo. At 4 years old, he is still a young chap. Romeo is all gray, very friendly and in good health. He does very well with other cats as well as people. He is a mellow and cool cat. Romeo had been neutered before he came to PAWS and has since had his vaccinations updated and a broken tooth removed. All he needs now is to have a loving and permanent home. 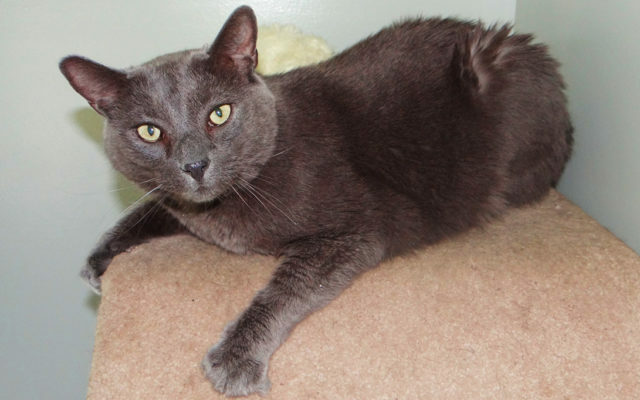 To see him, visit Valley Cat Haven during open hours Saturday from 11 a.m. to 1 p.m., Tuesday from 1 p.m. to 3 p.m. or call Jean at (207) 543-7348 for an appointment.